The Obama administration on Wednesday released a boatload of numbers about initial sign-ups for Obamacare coverage. What's clear is that the administration has a long way to go before hitting estimated enrollment figures. Technical troubles on both state and federal sites have made it tough for many people to create accounts and select plans. The administration promises that the federal site, healthcare.gov, will be running smoothly for the "vast majority" of visitors by the end of the month. The open enrollment period ends March 31. People must sign up and pay for insurance plans by Dec. 15 if they want coverage to start Jan. 1. The figures released reflect sign-ups between Oct. 1 and Nov. 2 on the federal exchange, which handles enrollment for 36 states, and 11 state sites that have reported. 7. Deemed eligible for federal subsidies: 326,130, or 22% of total. 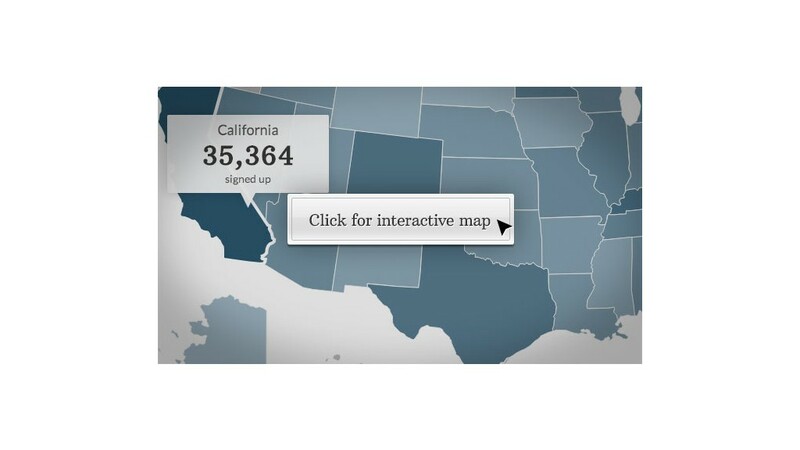 Share your story: Are you signing up for Obamacare?